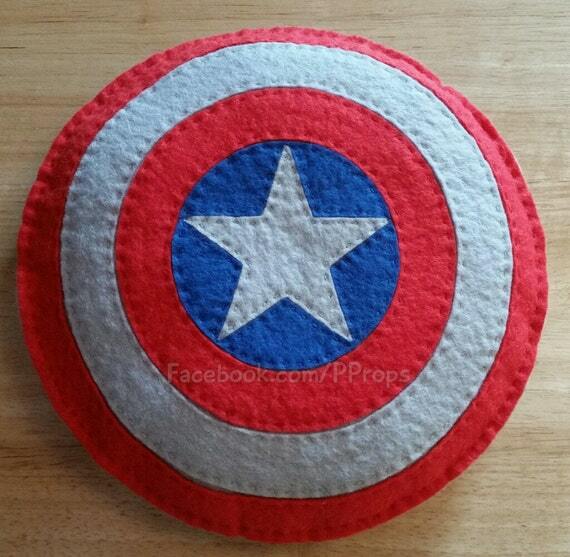 Home Geeky 21 Etsy Purchases That Will Make An Avengers Fan Go Crazy! If you like weird (but awesome) homemade crafts then Etsy is the perfect website for you. Think of it as the Amazon for geeks – especially if you are a fan of superheroes like the Avengers. 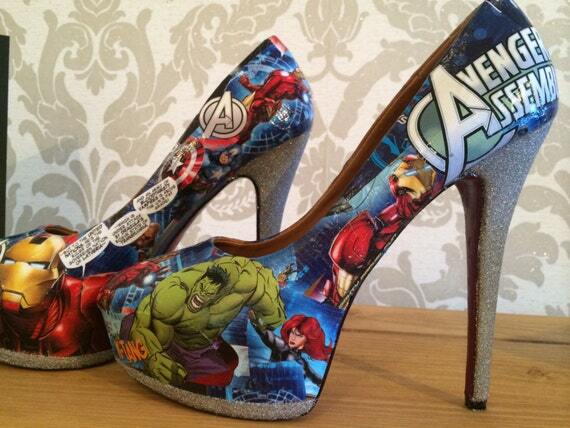 See The Avengers assemble on your feet with these super cool comic heels. You can even get them customised to your liking. 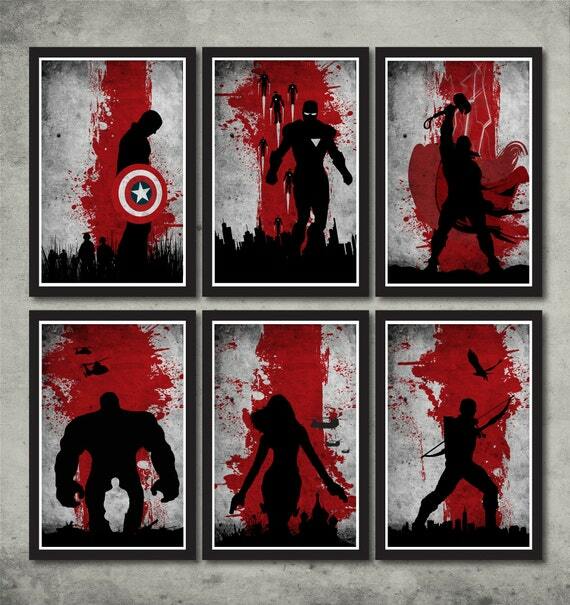 Make the Avengers assemble in your home with these super cool posters. With one for each hero you can keep them all together or spread them round your home. This little collection of wall art is very cutesy. 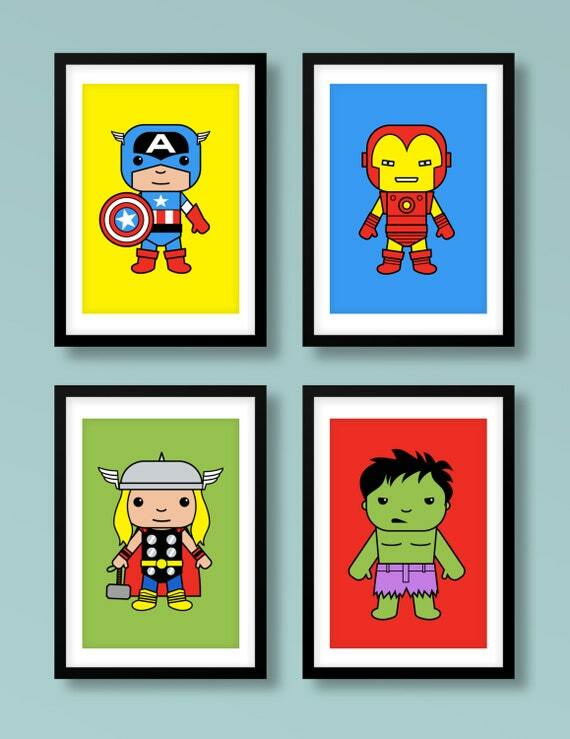 For a comic fan these prints would be perfect in a games room or a superhero bathroom. 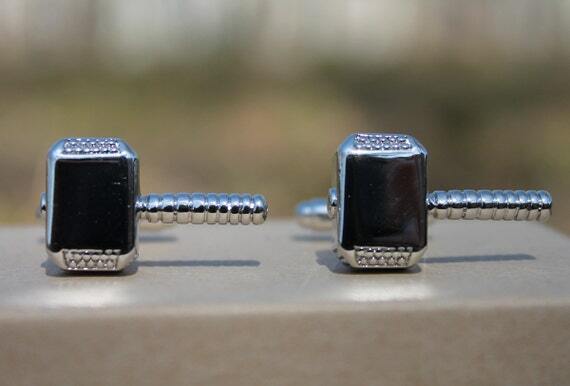 Show the rest of the office just how big a nerd you are with these mighty cufflinks. 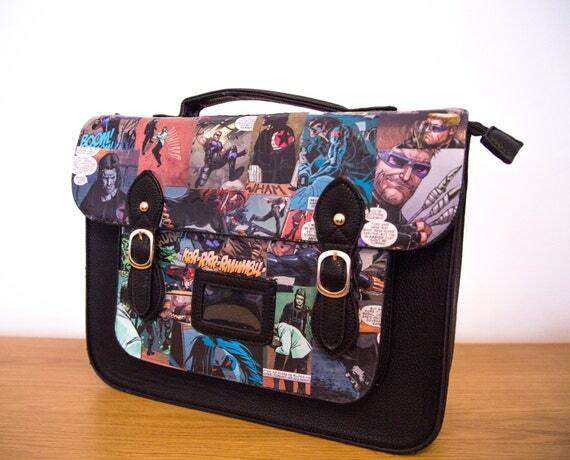 This custom made Avengers satchel is ridiculously cool. Perfect for students as a laptop bag, this satchel will have your fellow classmates awfully jealous. 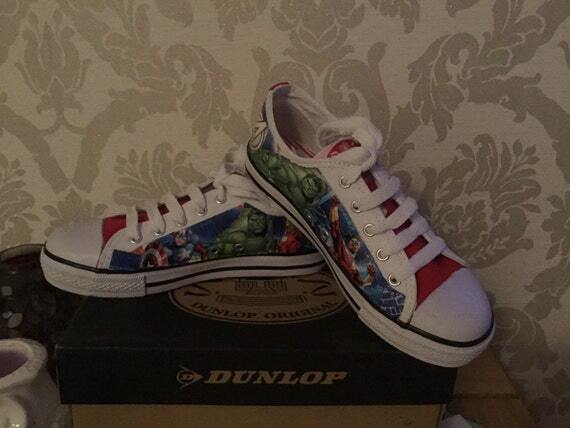 Make your feet feel super with these awesome customised Dunlops. Available in both adult and children’s sizes, why not get a pair for all the family. 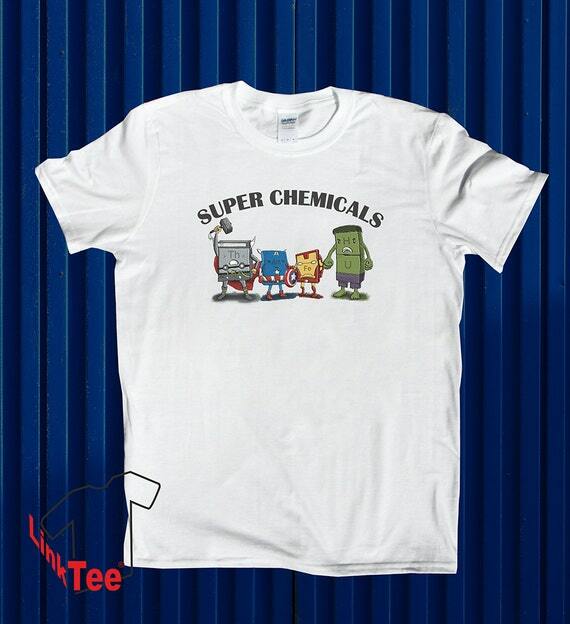 Mix your love of chemistry and superheroes with this uber geeky t-shirt. 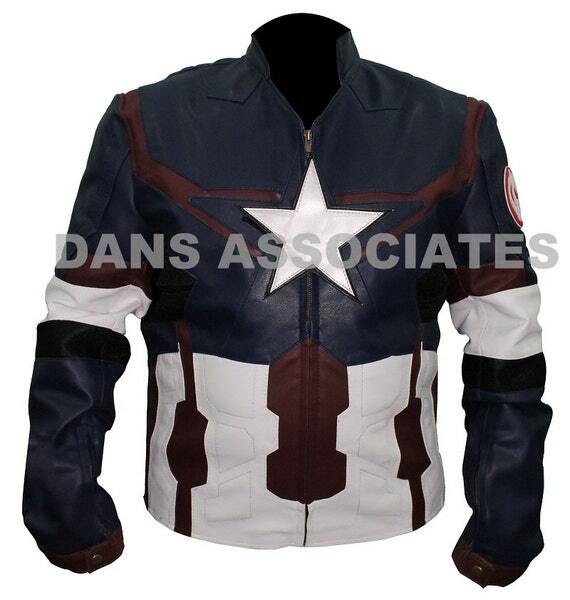 You’ll never be as cool as Captain Rodgers but you can still get a jacket that looks like his uniform. 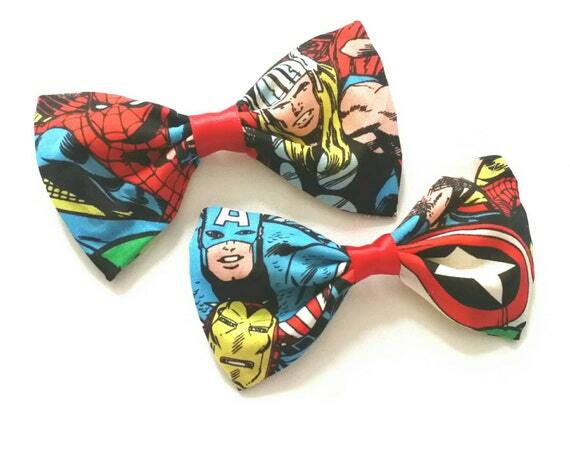 Not just for little girls, these adorable hair bows will be perfect in the hair of any Avengers fan. All your friends might be having kids while you’re going to midnight shows of superhero films, but that doesn’t mean you can’t share your love with their offsring. This kids soft shield toy is a wonderful baby present. 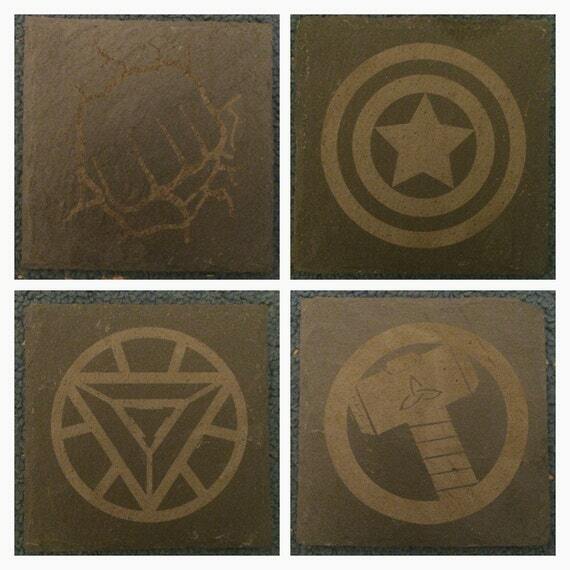 These slate coasters are very cool and kitsch. 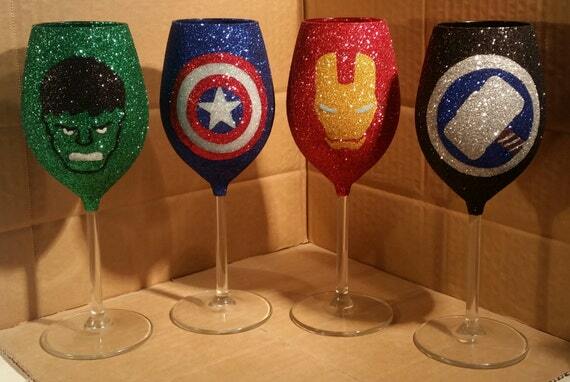 Perfect for keeping those drink rings off the furniture on new comic book day! 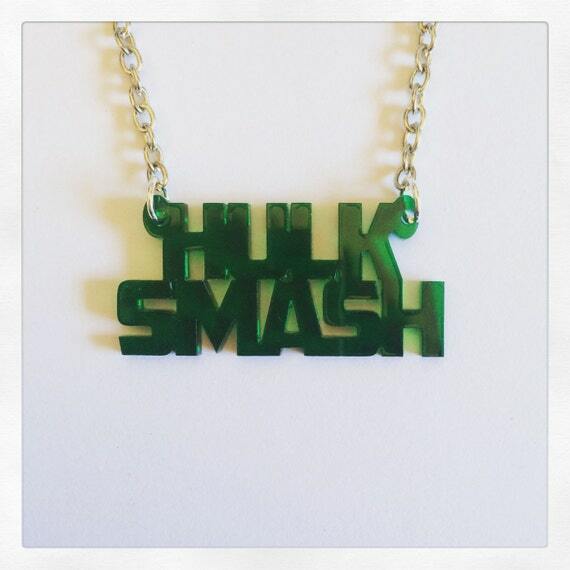 This acrylic necklace is perfect for both Hulk fans and those with anger management issues. Now glitter glasses can sometimes look a little naff, but this glass collection is very nifty. Great for assembling your mates for a glass of wine on a Friday night. 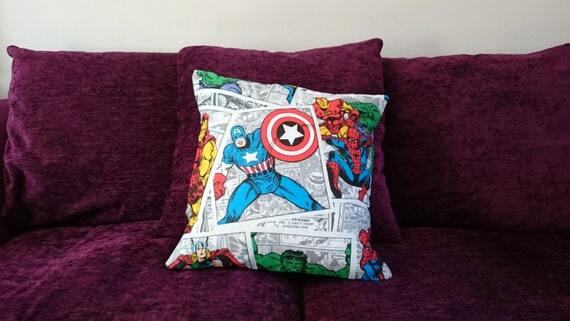 Who needs pricey Laura Ashley cushions when you can cover your couches in superheroes? 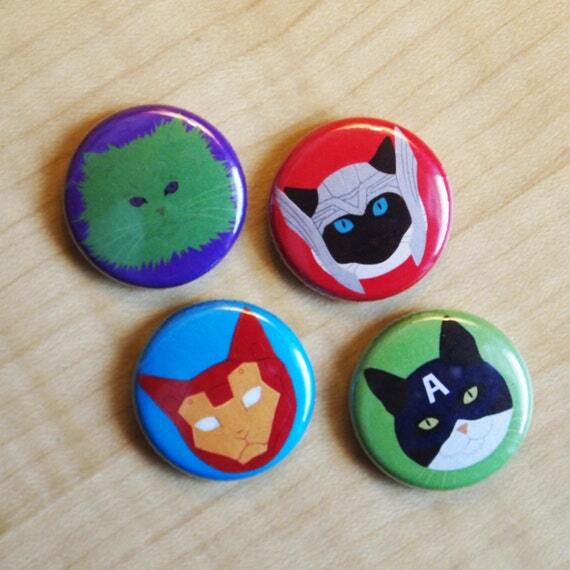 We all love cats and we all love the Avengers therefore these badges are immense. 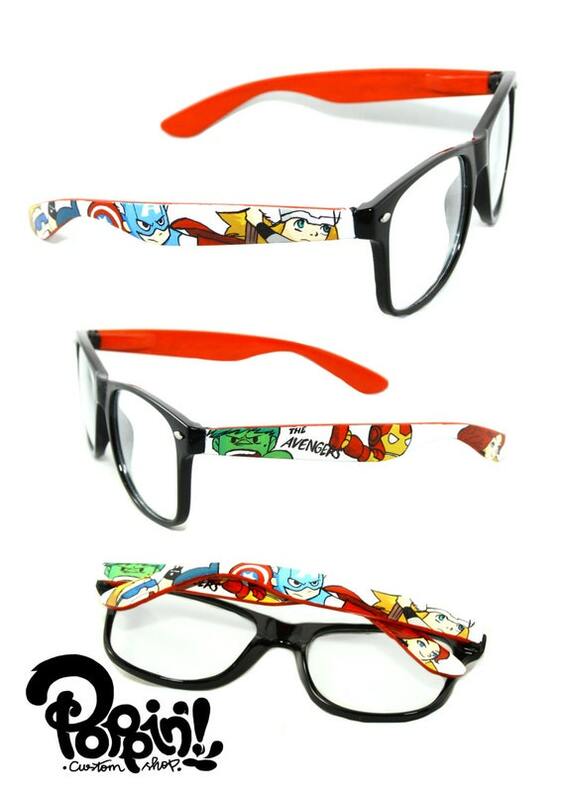 If you’ve ever got annoyed about the lack of adult sizes for Avengers glasses in Specsavers then these hand-painted glasses are your dream. 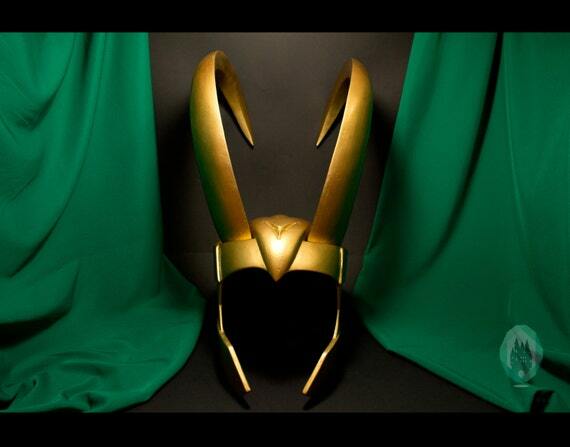 This custom made Loki crown is perfect for some serious cosplay. It’s rather pricey but so, so, so, pretty. 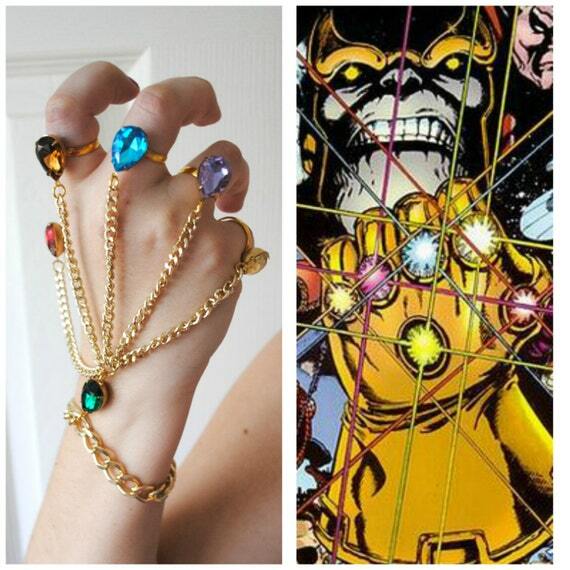 Look as cool as Thanos in this Infinity Gauntlet inspired costume jewellery. If you’ve ever wondered how you could make your baking 100 times cooler then fear not. 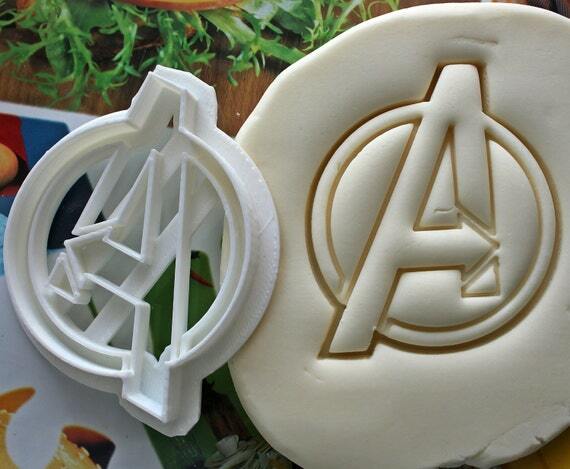 You need this Avengers cookie cutter. 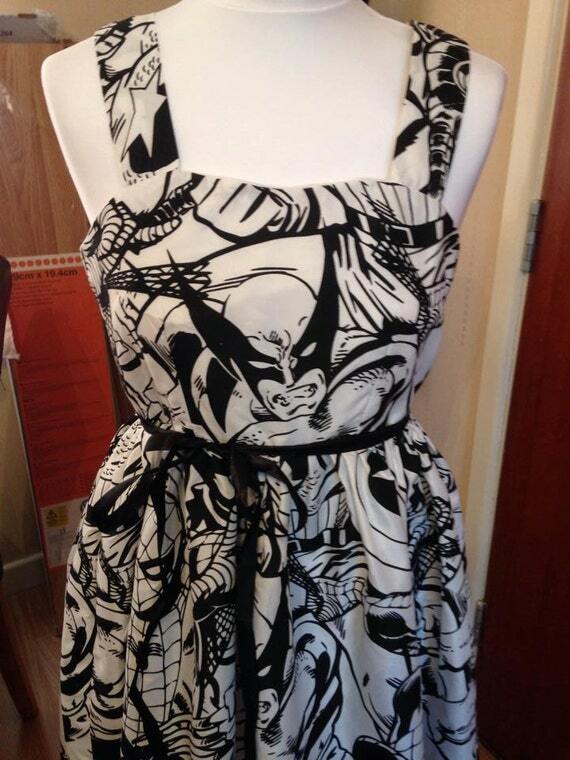 What makes this Avengers dress so cute is the fact it’s black and white. Subtle but full of nerdy brilliance, this is a great everyday dress. 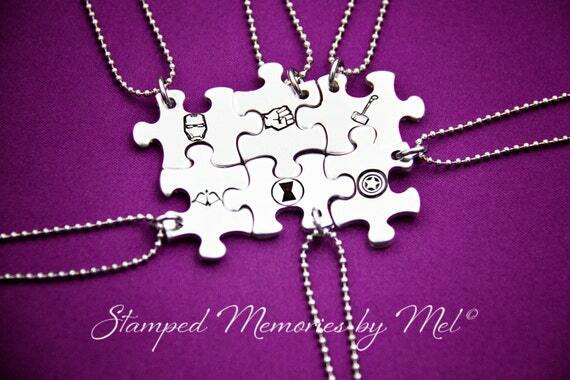 Let your friends and yourself become Avengers with this adorable jigsaw set of friendship necklaces. Just no fighting over who gets what superhero. 10 Photos From the Stage That Will Show You What It Feels Like to Be a Rock Star! Have you ever wondered what it feels like to be on stage in an arena? Wonder no more! Who would like to go aboard the majestic Titanic that will set its sail in 2018?